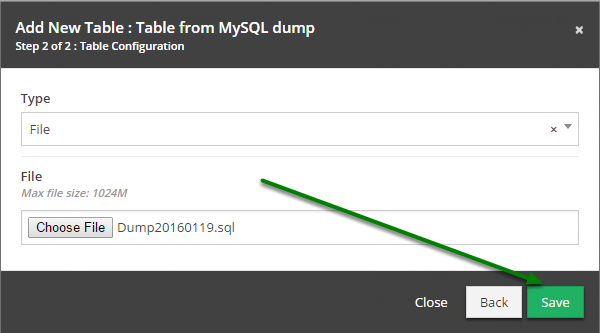 Documentation and SupportReleases Wasabi Release Notes 2016-01-20Create table from Import now supports SQL dump files. 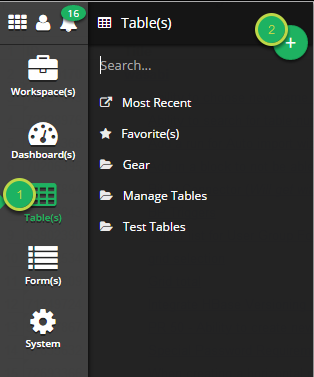 Click the 'Table(s)' system menu. 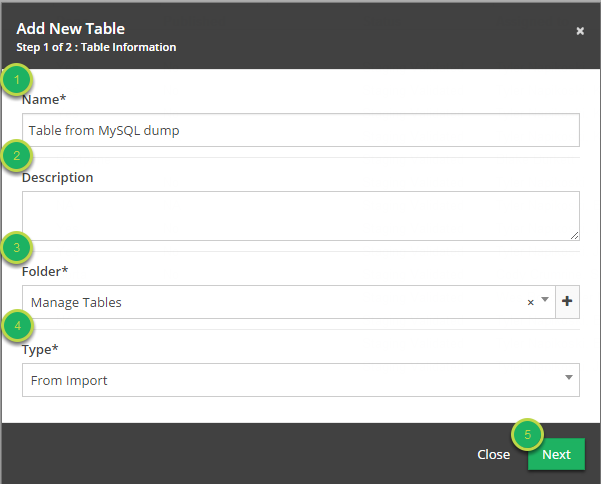 Click the 'Add New Table' (+) button. 2. Fill out information about new table. Name: The desired name of the new table. Description: Information about the table. Folder: The folder in which the table will be created. 3. Continue filling out information. Type: Select 'File' from the drop down. You will receive a notification informing you that your file was imported successfully. 5. New table has been created successfully. Zoom: New table has been created successfully. 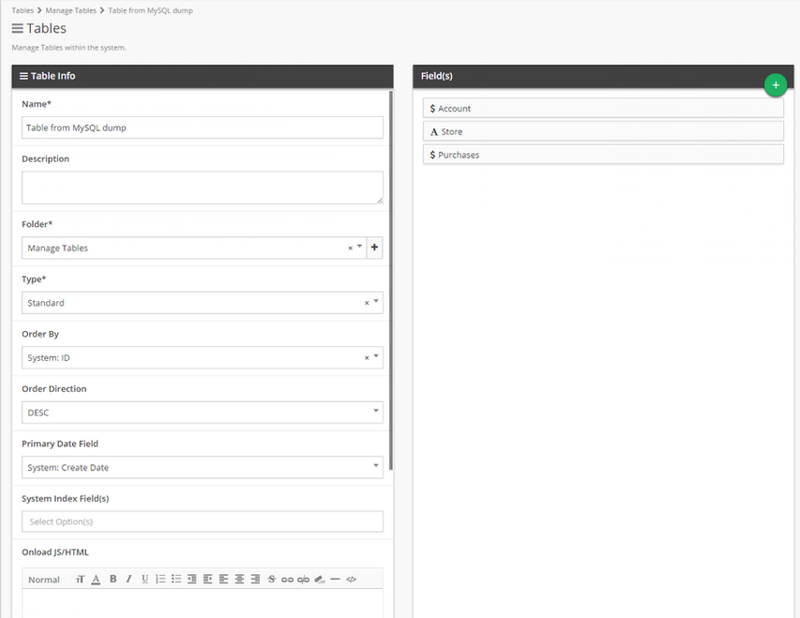 Prev: It is now possible to highlight a column in Grid View, in addition to rows. 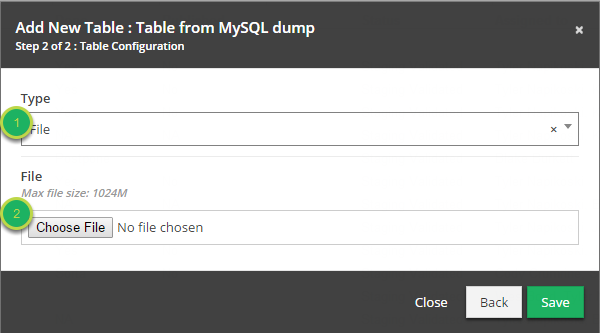 Next: Import Data now supports SQL dump files.